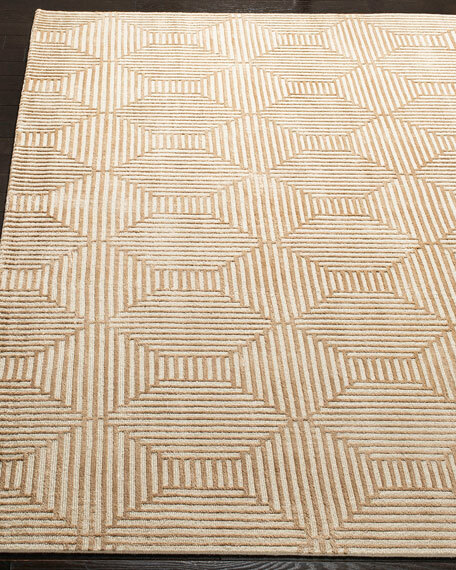 Hand-knotted of pure wool and silk, a dense loop and cut pile draw focus to the refined lines and spatial intrigue tiled across the Connaught rug. 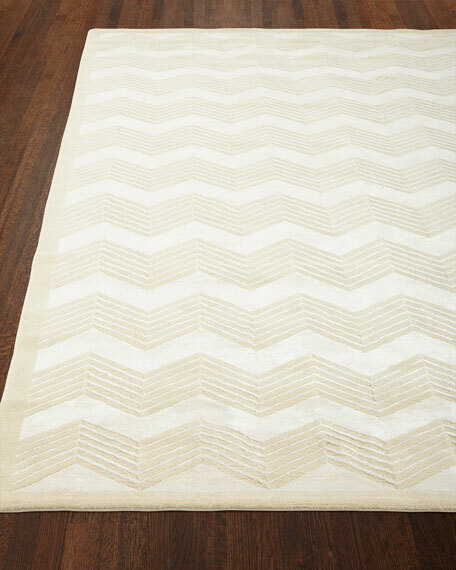 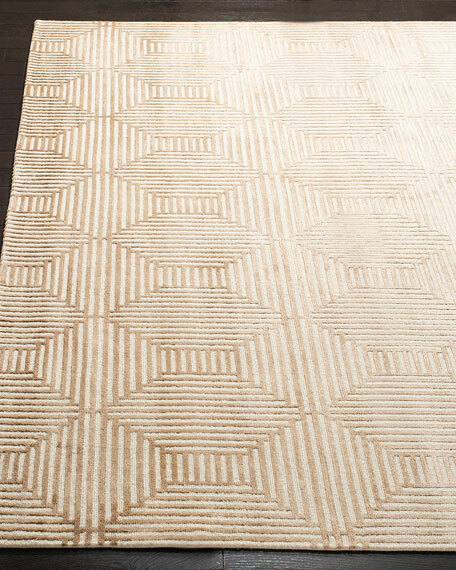 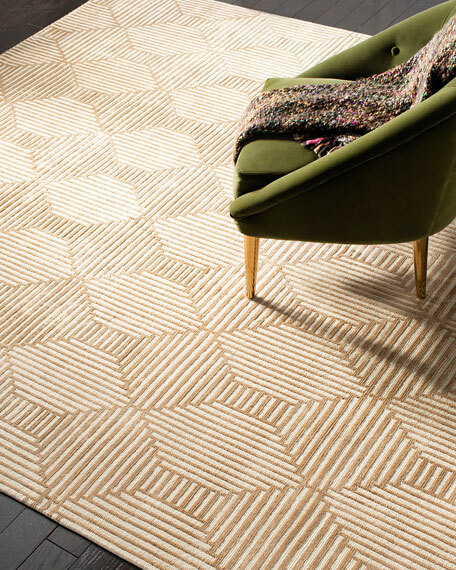 Handcrafted, transitional rug inspired by the elaborate textures of Aran-knit sweaters. 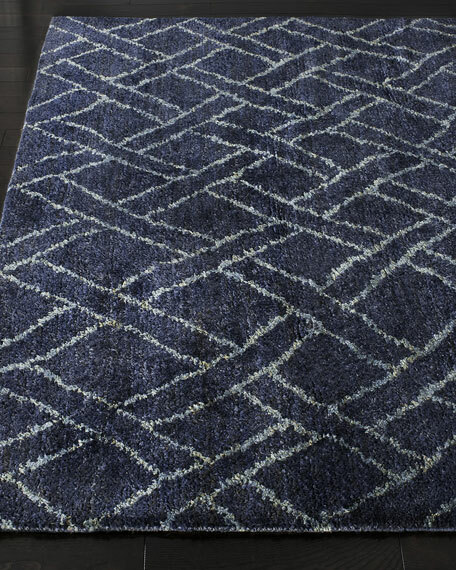 Hand-knotted with 90 knots per square inch.